Offering you a complete choice of products which include multi spindle drilling head. More than two decades of experience has gained us prominence for manufacturing and supplying Portable Machine Tools. These find widespread application in construction industry, breweries, process plants, special welding companies and more. 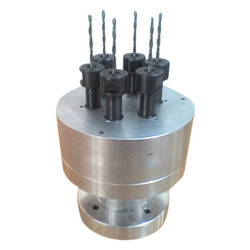 Manufactured as per industry quality standards, our range of Multi Spindle Drilling Head.